Hank Pym a Golden Globe Winner! Another Ant-Man Casting? A few days later and I would have to write this up on a plane again. Looks like Paul Rudd with not be playing Hank Pym in the new Ant-Man movie, that role has been reserved for Michael Douglas! Paul Rudd with be playing the long suspected Scott Lang who will likely steal the Ant-Man suit/technology from the cranky old Michael Douglas. So what do you think Internet, are you more or less excited now for Ant-Man? Ant-Man casting rumors were true! Well time to take another drink, looks like Hollywood tried to pull the wood over our eyes once again. It looks like Paul Rudd will be the new Ant-Man in the marvel cinematic universe. We talked a little about this a few podcasts ago and we were of split mindset. 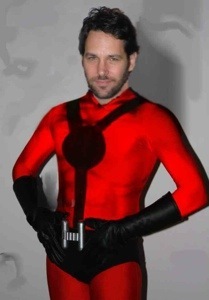 Will Paul Rudd be serious enough or will they go with a lighter version of Ant-Man? Most important, why does Hollywood always deny deny and then confirm the rumors? Is it to avoid something like the internet’s reaction to Batfleck? Are we secretly participating in a focus group before the movie studios offer contracts to these actors? Or are agents using the internet to up the deals they can get? Whatever the reason it’s beginning to feel a little like Peter and the Wolf, how many times can they deny until we call blasphamy! Talk to us loyal listeners, what are your thoughts on this casting?